On Sunday, June 3, join the choirs and orchestra of Pacific Union College for their spring concert, featuring pieces from musicals and operas. Jenelle Anderson conducts Vox Pro Musica and Chorale, while Rachelle Davis conducts the Orchestra. Vox Pro Musica, along with PUC’s Chorale and Orchestra, will perform choruses from familiar operas and musicals such as The Mikado by Gilbert and Sullivan, The Promise of Living by Copland, Carmen by Bizet, Madame Butterfly by Puccini, and others. Additionally, Vox Pro Musica will sing a set of Elizabethan madrigals, including April Is In My Mistress’ Face and Now Is The Month of Maying, among others. The Orchestra will also be performing two pieces on their own: Concerto No. 2 in D Major for Flute by Mozart, featuring soloist Michele Rafuse, senior music major; and two movements from L’Arlesienne Suite No. 2 by Bizet. The concert begins at 3 p.m. in Paulin Hall Auditorium on the campus of Pacific Union College. Tickets are not required; admission is free and open to the public. 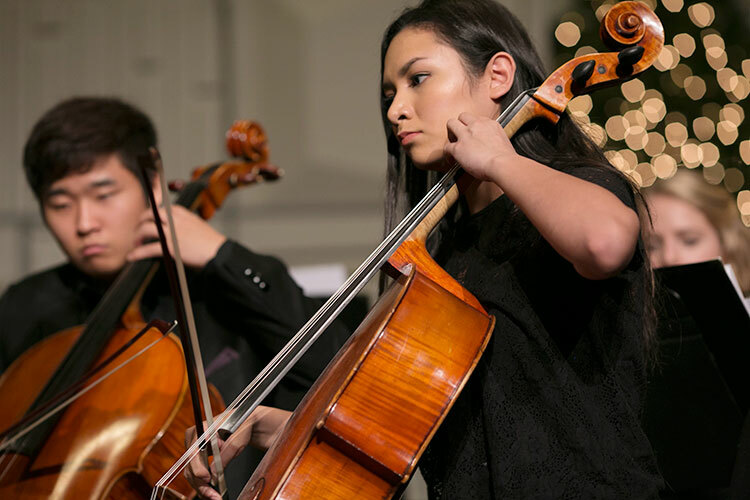 For more information about PUC’s music program, including the Paulin Center for the Creative Arts and a calendar of upcoming events, visit puc.edu/music or call (707) 965-6201.